This Taco Beast snowcat will be serving up tacos to hungry skiers and snowboarders this winter season. 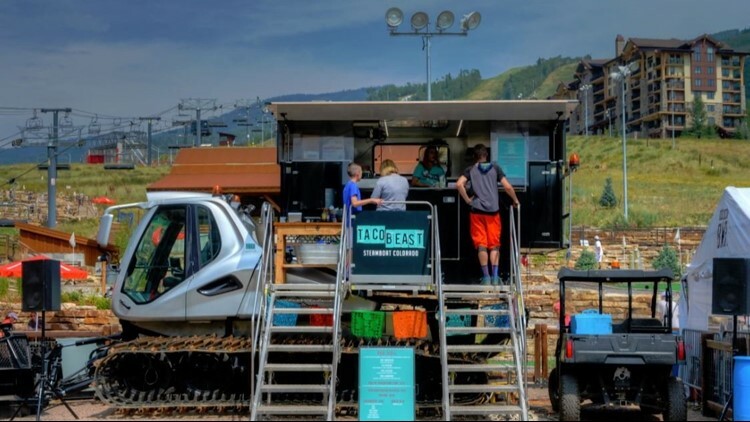 The Taco Beast debuted in Steamboat this summer on Gondola Square and will return just in time for ski season. 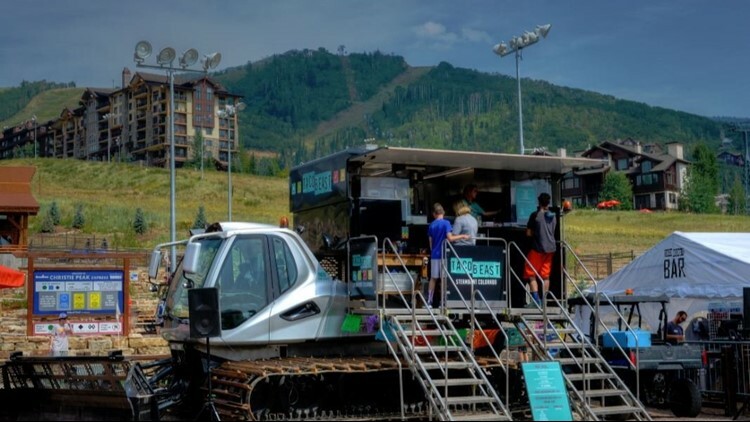 STEAMBOAT SPRINGS — Come this ski season, Steamboat Ski Resort will be slinging tacos in style with the addition of a roaming snowcat dubbed the Taco Beast. The ski area decided on the idea after seeing another unique snowcat that was being used for parties and other special events, Maren Franciosi with Steamboat Resort told 9NEWS. From there, Steamboat worked with the snowcat company to develop a food truck concept for the resort. Steamboat’s taco-themed snowcat, which arrived all the way from Italy, debuted over the summer to give residents a taste of what’s to come this winter. “We received it this spring from Europe and it was placed in Gondola Square this summer where it was serving food for people to get an idea of what to expect this winter,” Franciosi said. When it reopens later this season, the Taco Beast will serve up street taco options for $4.50 each. “We are really excited about our elk chorizo taco,” Franciosi said. “That’s kind of a classic Colorado dish that I think a lot of people who come to visit don’t get to try very often." Other taco offerings include beef barbacoa, pollo asado, and a vegetarian taco with seasonal vegetables. Steamboat Ski Resort plans to open for the season on November 21. If snow conditions are right, the Taco Beast could open up shop in early December. Once up and running, Franciosi said the snowcat will move around to a handful of locations around the ski area. Hours are expected to be from 11 a.m. to 2 p.m. each day. You can stay up to date on the Taco Beast’s location on Steamboat’s website and Facebook page.